The Bharat Bandh called by Congress and sundry opposition parties, to protest against rising fuel prices and a falling rupee, represents the sad populism common before a general election. It is especially ill-advised today because emerging markets (EMs) like India are on the edge of a financial precipice, and must take care not to fall off. Some are in deep financial trouble: Turkey, Argentina, Venezuela and Pakistan. These four have terrible macroeconomic fundamentals, unlike EMs like India. Nevertheless, contagion from the sinking countries has begun spreading to all EMs, causing a flight from their currencies even as the dollar strengthens as a safe haven. The rupee is not alone: all EM currencies are sinking. A clear risk exists that EMs may suffer a milder version of the economic meltdown of 2013, when the US hinted at raising interest rates. Then, the rupee went from ₹55 to ₹68 to the dollar, the stock markets and GDP growth crashed, and only emergency measures from RBI governor Raghuram Rajan saved the day. At that time, the fiscal and current account deficits were very high, making India vulnerable. Today, thankfully, both the deficits are modest, although the current account deficit is rising and will soon cross the comfort line of 2.5% of GDP. US sanctions against Iran in November can drive oil prices much higher, worsening deficit across EMs. To avoid a 2013-style meltdown, India must do nothing to exacerbate either deficit. Populist pre-election giveaways are common but do not win polls. Finance ministers typically produce election Budgets with freebies in their final year, yet up to three-quarters of incumbents lose elections. Rahul Gandhi hopes to gain a few votes through his Bandh. Former Prime Minister Manmohan Singh, disgracefully, has echoed Rahul’s nonsense. But the need of the hour is a steady hand on the financial tiller to guide India through rough seas, with no surrender to populism or alarmism. 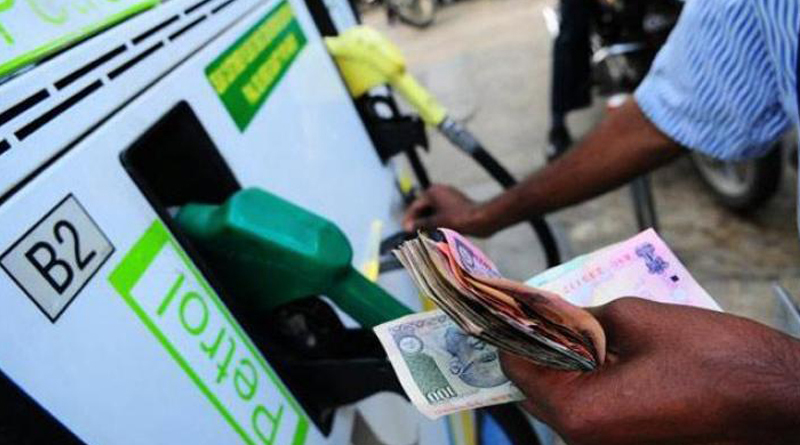 Cutting the excise duty on fuel, or restoring old subsidies, will widen the fiscal deficit while increasing the demand for imported fuel, widening the current account deficit. Any populism on the fiscal or current account deficits can quickly snowball into falling foreign investor confidence, or even panic. The consequent exit of billions of dollars may not be as bad as in 2013, when India’s economic fundamentals were much weaker, but will suffice to sink the economy. This will kill BJP’s election chances. Hence, even for purely electoral reasons, Prime Minister Narendra Modi must not give way to the populist demands of the opposition parties. Populism will be bad politics no less than bad economics. Discussions on the issue on TV channels have focused on the impact of higher fuel prices on the middle class, as though they are a special class who should be subsidised by others. BJP representatives say oil revenues must be protected to invest in badly needed infrastructure. Okay, but they seem barely aware that a much more important reason is to maintain foreign investor confidence, and so, prevent a financial meltdown. Congress representatives complain that taxes on petrol and diesel were raised when the price of oil crashed after 2014. Yes, but taxes had earlier been cut by the Congress government after oil prices started spiralling in 2004, so BJP has been dead right to restore high taxes and decontrol prices. The Congress, including Manmohan Singh, seems blissful ignorant of the fragility of EMs like India today. Some poll-bound states like Rajasthan and Andhra Pradesh have cut value added tax (VAT) on petrol and diesel. As a temporary pre-election tactic, that will not cause investor panic but needs to be reversed after the state elections. Much less has been said in TV discussions on the falling rupee, the other reason for the Bharat Bandh. Yet, none other than former Congress finance minister, P Chidambaram, wrote a column in the Indian Express recently, titled Why India Should let the Rupee Fall. He explained, “A weaker currency helps export growth, which has been weak in recent years.… A weaker rupee would also offset competition of cheap imports from countries like China, which could give domestic industries a much-needed boost. Rahul Gandhi has abandoned Chidambaram’s sage logic and gone for a populist outcry that views a strong rupee as a macho symbol rather than an albatross round the necks of exporters. Many economists, including Shankar Acharya, Rakesh Mohan and Surjit Bhalla, have long demanded a weaker rupee to dynamise stagnant exports. That has finally been forced on us by global events, and we should rest content with that. Any move to try and artificially strengthen the rupee today will empty our foreign exchange reserves. That will surely convince foreign investors that it is time to leave.